Preheat oven to 425 degrees. 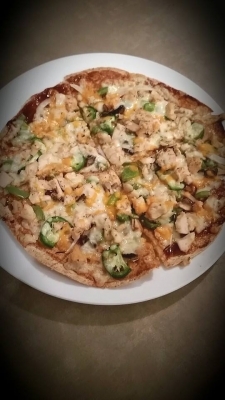 Spread 2 TB of barbeque sauce on the tortilla, and then place the chopped veggies and chicken on top. Lastly sprinkle the cheese to cover the whole tortilla. Bake in the oven for 12-15 mins. Enjoy!